From the 2nd to the 4th May, three members of the Fusion Group at BSC participated in the 4th Severo Ochoa Doctoral Symposium, two of them as Poster Presenters and one as volunteer to help its organization. The goal of the Doctoral Symposium is twofold. On the one hand, it aims to provide a framework to share the research results that form the theses being developed by young researchers and postgraduate students at BSC. On the other hand, it offers training sessions on topics and skills that may be useful to future researchers and professionals. 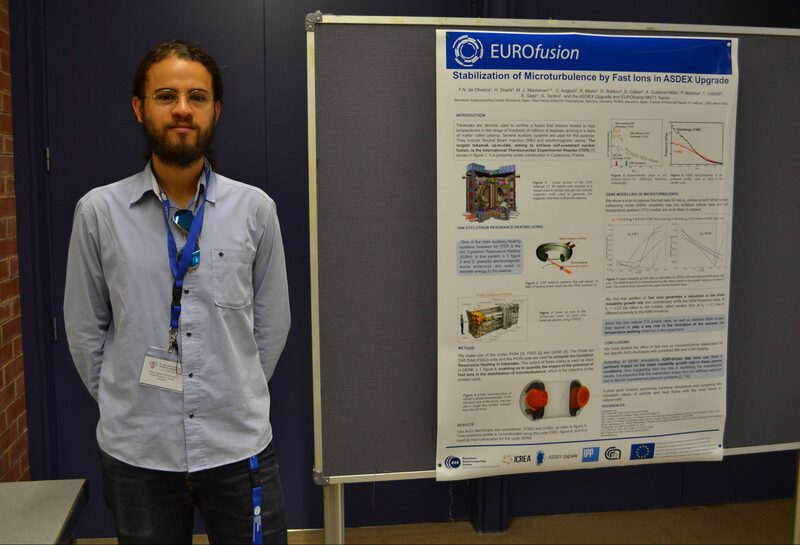 Felipe Nathan de Oliveira, a Master student working in our fusion group, presented his work on “Stabilization of microturbulence by fast ions”. His poster is part of an ongoing investigation aiming to find evidence of electromagnetic stabilization of Ion Temperature Gradients, a microturbulence found in tokamak-like fusion reactors. 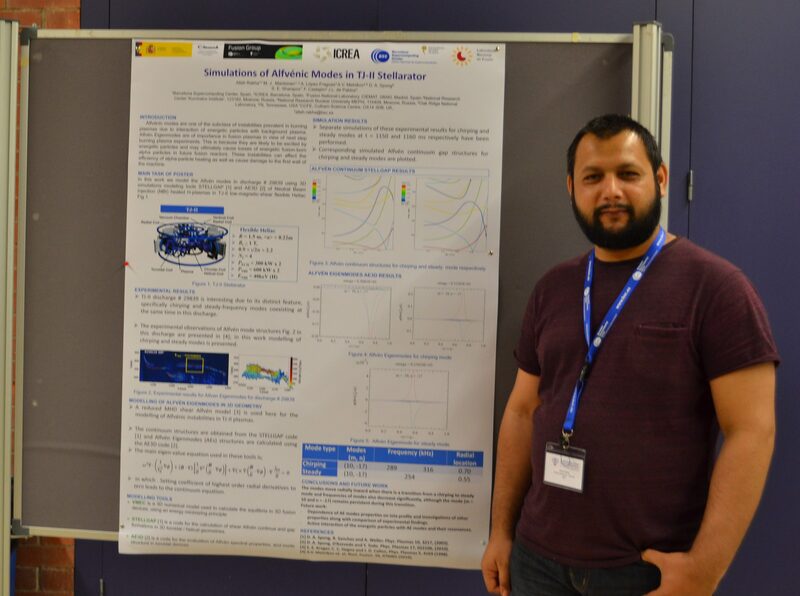 Doctoral student Allah Rakha, from our fusion group, presented his work “Simulations of Alfvénic Modes in TJ-II Stellarator” in the final session of the Symposium. His work is about the investigations of energetic particles interactions with Alfvénic instabilities in fusion burning plasmas. The Symposium highlights included the Keynote Talk “Personalised Medicine as a Computational Challenge” by Professor Alfonso Valencia, and the Tutorial sessions on Deep Learning.